Venue Lighting - All Packages - Spark Rentals Inc.
For added effect, upgrade to an animated lighting package to have a pair of colours alternate between one another featuring a slow cross disolve transition between the two. 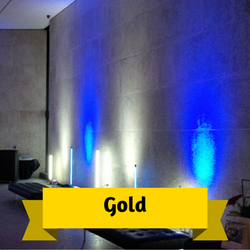 Venue lighting transforms a room with a splash of colour and texture to create an inviting ambiance. Our venue lighting packages can suit any venue with your choice of only a few lights for simple accent lighting, to moderate coverage of a room, to maximum coverage to completely illuminte a room in one or more colours. 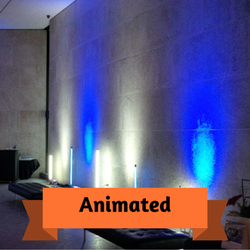 ​Without our Animated Add On, our Venue Lighting Packages include the option of 15 colours. For more colours including Amber, upgrade to our RGBWA Lights.